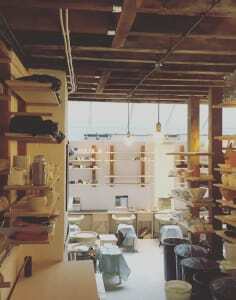 Crown Works Pottery is based in East London, tucked away in an old Victorian mews, near to Bethnal Green and run by potter Giulietta Hextall. Giulietta runs the studio as a small school, teaching taster, beginner and intermediate throwing classes. All classes are taught by professional full time potters, with a passion for sharing their knowledge of this diverse material. The classes are kept to a limited number of people, eight per session, keeping the classes intimate and allowing for all students to be given sufficient help in a friendly atmosphere. Most classes occur in the evenings during the week, but we also do occasional intensive weekend workshops. 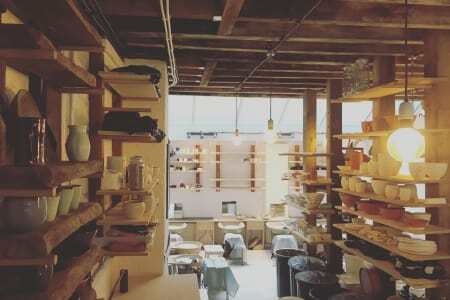 Clare is an amazing teacher and I love the fact that everyone has their own potters wheel. Thank you! I had a great day on this one-day course and wished I'd signed up for a longer course! Simon was great at teaching and giving everyone individual attention. Luckily, I was part of a small class which meant the day was very hands on with a lot of tuition. The studio was a lovely a sight and the teacher was brilliant! We managed to get 6 of the items we made fired. Would definitely do it again and would recommend to anyone wanting to try pottery! Really great class, lovely teacher - would definitely recommend!